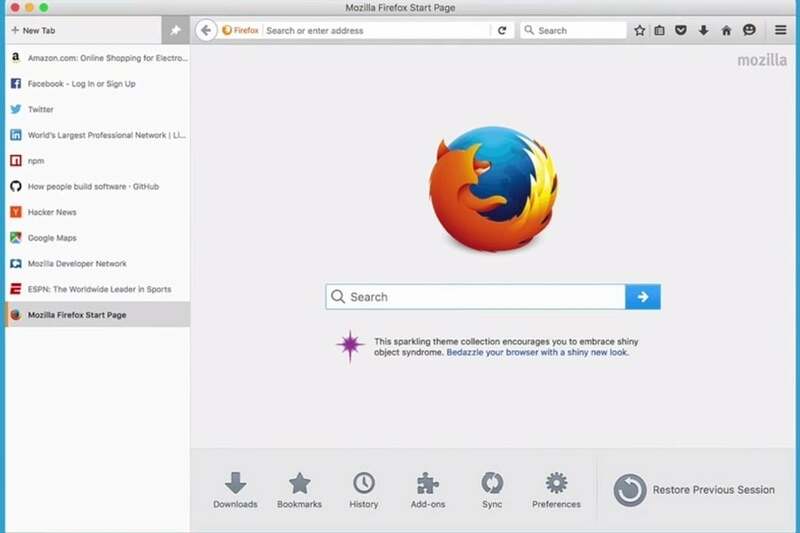 Mozilla’s new add-on brings experimental features to the stable version of Firefox. Firefox users no longer need to an unstable version of the web browser to test the latest experimental features. With a new add-on called Test Pilot, users can choose from a few unpolished features to try, regardless of whether they’re using the stable, beta, or developer version of Firefox. Mozilla is promoting these features on the Firefox start page in the stable release of Firefox 46. For now, Mozilla is testing three experimental features. 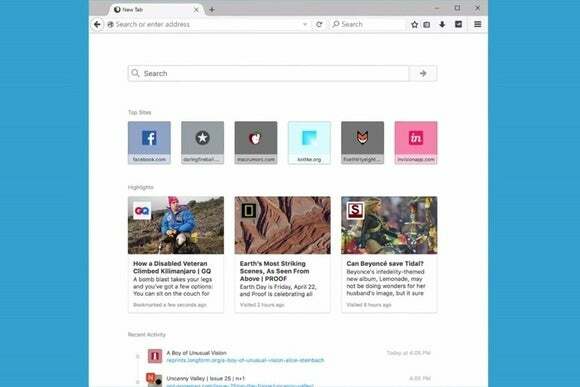 Tab Center puts tabs on the side of the screen instead of the top, Universal Search recommends sites as you type in the address bar, and Activity Stream combines recent history and bookmarks with imagery from highlighted webpages. 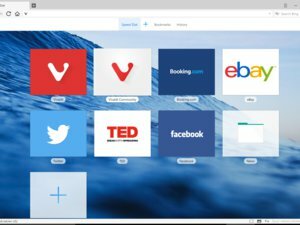 A tab sidebar is one of Firefox’s latest experimental features. Mozilla told VentureBeat that it doesn’t expect to run more than six experiments at a time, and that some future experiments may be relegated to non-stable versions of Firefox. As for what’s next in Test Pilot, the company mentioned a screenshot tool and a tie-in to Archive.org that helps with 404 errors. Why this matters: Developing major new features can be a challenge for major web browsers, because it’s hard to know how ordinary users would respond to big changes and new approaches. That may explain why some of the most interesting work is happening in new browsers, such as Vivaldi, Alloy, and Microsoft Edge. Test Pilot is an interesting way to get fresh ideas in front of more users, without making them commit to beta or developer versions of Firefox that are buggier as a whole.